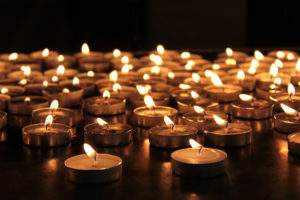 On Yom HaShoah, communities around the world gather to remember the systematic persecution and murder of six million Jews and millions of other innocent people from a variety of ethnic, religious, and national backgrounds. At a Holocaust Remembrance Day service, join together in music, prayer, and a candle lighting ceremony to commemorate those who perished. Hear from Irene Weiss, who will share her story and experience as a Holocaust survivor. During breakout groups, hear from direct descendants of other survivors, learn about the lasting impact of the Holocaust, and discuss how we can honor the past while pursuing a more just future.